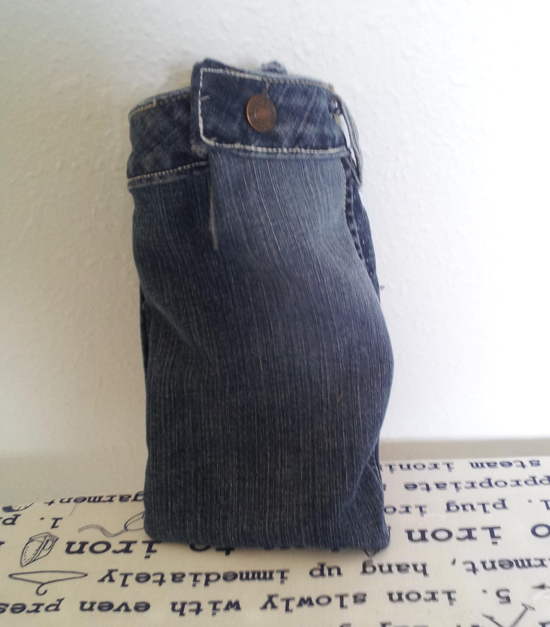 I recently recycled a pair of shorts that I “undergrew” (this is the opposite of “outgrew”). 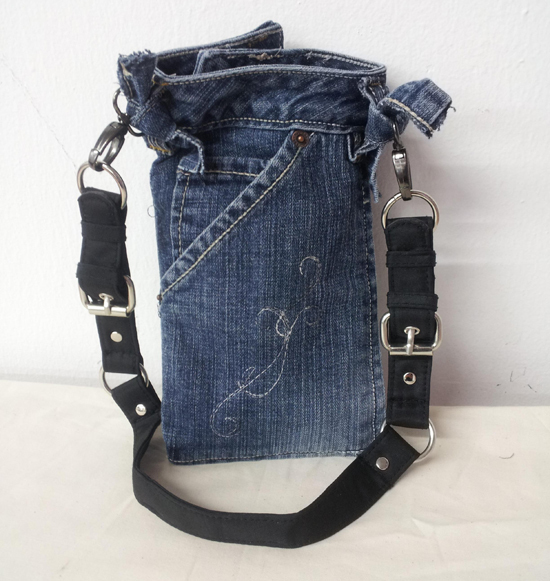 I lost weight, so I took a pair of my old shorts and made a small purse to accommodate my cell phone, keys, and wallet. The front pocket turned into a cell phone carrier, and the small pocket was just the right size for my vehicle key. Before stitching the sides together, I did a little embroidery on the denim in front of the pocket. I saved the waistband with the button and used it for the closure on the back of the bag. I added a placket on and made it look like a waistband opening on a pair of jeans. This pocket is just the right size for my wallet. This is easy to carry when you go shopping. You could use the larger opening for a water bottle and carry a credit card or two in the front pocket with your cell phone.